The United States government has disclosed the names of fifty-five of the eighty-six prisoners cleared for transfer from Guantanamo Bay prison. All of the names made public were of prisoners President Barack Obama’s interagency Guantanamo Bay Review Task Force approved for release from the prison. Previously, the US government had maintained the names of prisoners cleared could not be made public because it would get in the way of diplomatic efforts to repatriate or resettle prisoners in their home country or other countries. Most of these people who are listed have been held in indefinite detention for around eleven years. The additional transparency is certainly welcome. Zachary Katznelson, senior staff attorney with the American Civil Liberties Union’s National Security Project, told Firedoglake that lawyers were not approved to talk publicly about these men because their names could not be disclosed. This prevented them from sharing their knowledge, which was beyond the knowledge of any diplomat who would speak on behalf of these men. It “hindered efforts to close Guantanamo.” Now, hopefully, the lawyers would be permitted to speak openly to help foreign governments make reasoned choices about whether to allow prisoners to resettle in their country. 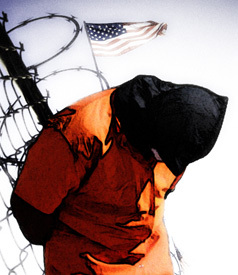 On the other hand, there are at least eighty-six prisoners being held in Guantanamo right now who would dispute the claim that the United States’ efforts to resettle Guantanamo detainees have “largely been successful.” Their lawyers, along with civil liberties or human rights organizations, would likely dispute this suggestion as well. They are still imprisoned and have not been set free. Making discussions with foreign governments public and sharing full details on the behind-the-scenes struggle to resettle Uighurs that was occurring as a result of China could have helped make closing Guantanamo possible, but that did not happen because the Obama administration was afraid of Republicans. Eventually, all efforts to close Guantanamo collapsed because people like David Axelrod and Rahm Emanuel did not want to expend political capital explaining to Americans why it was critical to close the prison and let prisoners go free. Simply put, if resettlement efforts were or had been successful, Guantanamo Bay prison would be closed by now. The US could have, at any point, begun the process of letting prisoners who pose absolutely no risk whatsoever resettle here in the US. But to do that would have forced the government and the American people to truly reflect and atone for the gross human rights abuses committed over the past years. That is why other countries of the world are being urged to take prisoners for us, and why some countries are incredulous when asked to take responsibility for people who have been victims of injustice perpetrated by the US government. Sarah Palin is that you? Nope just Deanna Santana of Oakland.